Building Better Mojo: Five Reasons We Partner with a Local Charity. 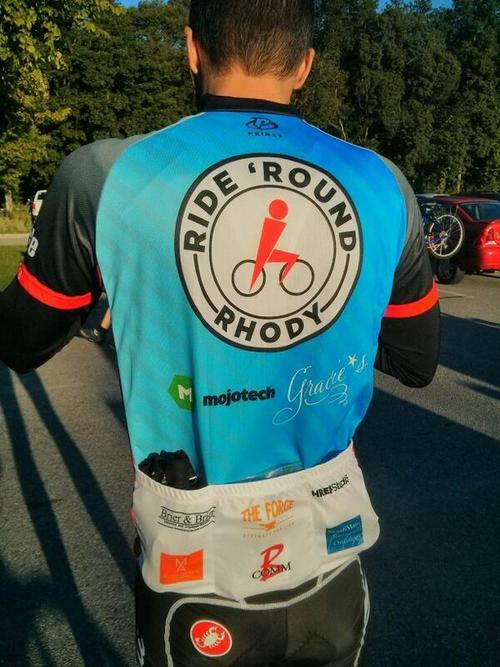 For the fourth year, we're thrilled to enter a cycling team in Ride Round Rhody, a bike-a-thon organized by LIFEcycle to benefit cancer treatment in RI and southeastern New England. We've also been a corporate partner of LIFEcycle's since our second year riding in the event. During the course of this partnership, we've seen a wide range of benefits, internally and externally. If you're looking for a way to grow, personally and professionally, here are five reasons to stop looking and start doing. We have been fortunate that the talent and hard work of our team have resulted in exciting and prosperous growth for our company. We have done well. The partnership with LIFEcycle is a primary way that MojoTech does good in the community—something that we see as both an obligation and a privilege. Because of this partnership, a local charity has more money with which to plan and promote its event. This increases LIFEcycle’s chances of success and creates a stronger impact on the cause: local cancer treatment. We are also lending our name and reputation to the charity, which helps them encourage other businesses to establish a partnership. Internally, there are some obvious benefits to partnering with (read: sponsoring) a charity: it has marketing value. The MojoTech logo will appear on the cycling jersey, event signage and materials, and in the organization’s newsletters. We also will receive tickets to LIFEcycle’s events throughout the year, with the opportunity to address attendees. Are we likely to get our next project because a cyclist saw our logo on a jersey or a donor clicked to our website from the LIFEcycle newsletter? Probably not, but that’s not the point. The recognition is important because it is a public display of our choice to give back to the community. MojoTech employees see it, our clients see it, and our neighbors see it. It’s good business and good citizenship. The opportunity to work on the charity’s website is also an internal benefit. As you may have read elsewhere in our blog, we have something called MojoTime (work time that is not devoted to client projects). This is exactly the type of project on which we like to encourage Mojos to spend their MojoTime. It’s an opportunity for them to experiment and have fun with design. It gives people the chance to work on something different, and it creates a chance for our developers to work directly with a client in a less structured format. Not only can this work be refreshing in and of itself, but it also gives a chance for our team members to volunteer their professional time and talent with the community. We see the internal value of this partnership really come to fruition through participating in the event. In all, we’ve had nearly 20 Mojos (including repeats) ride in the event. It’s a way for a group of us to get together outside of the office and take part in something bigger than ourselves—individually and organizationally. We go on training rides and work together to raise funds that will benefit the local fight against cancer (and the national fight, too). It builds a level of appreciation for one another and it emphasizes for us, and now you, that we can accomplish a whole heck of a lot when we work together. Maybe cycling isn’t your thing, and maybe cancer isn’t your cause, but you likely have a cause about which you are passionate, and you can surely find a way to rally your troops (whoever they are) around that cause to create something great for your community. And if fighting cancer with bikes is your thing, maybe we’ll let you join our team when registration opens in April.